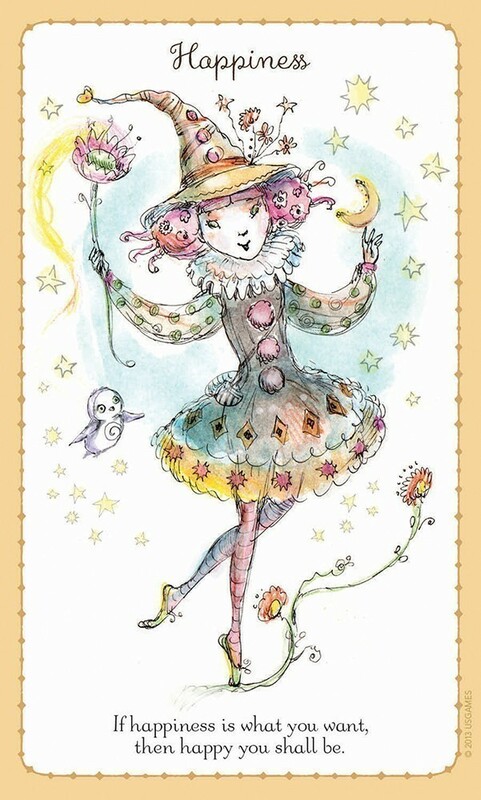 Paulina Cassidy introduces her 40 wonderful Witchlings in this enchanting new deck and book set. 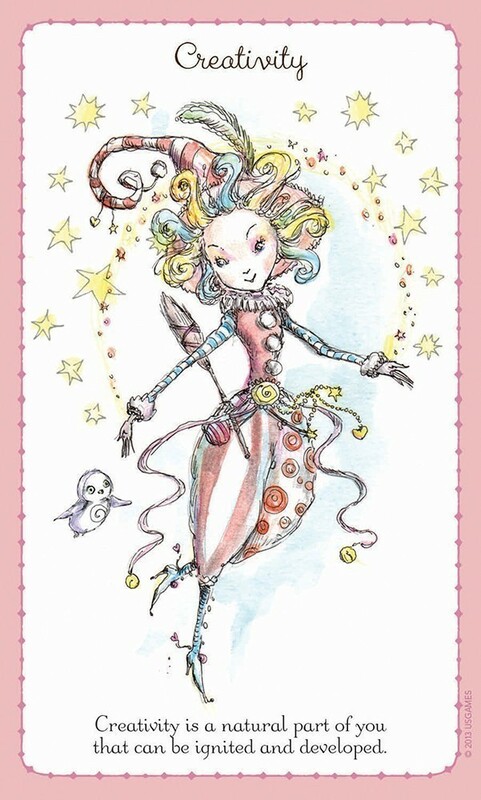 The Witchlings share their easy and uplifting spells to help you access your own powerful energy and natural abilities. The 200-page illustrated guidebook includes clear instructions for more than 150 spells with tips and insights from each individual Witchling. 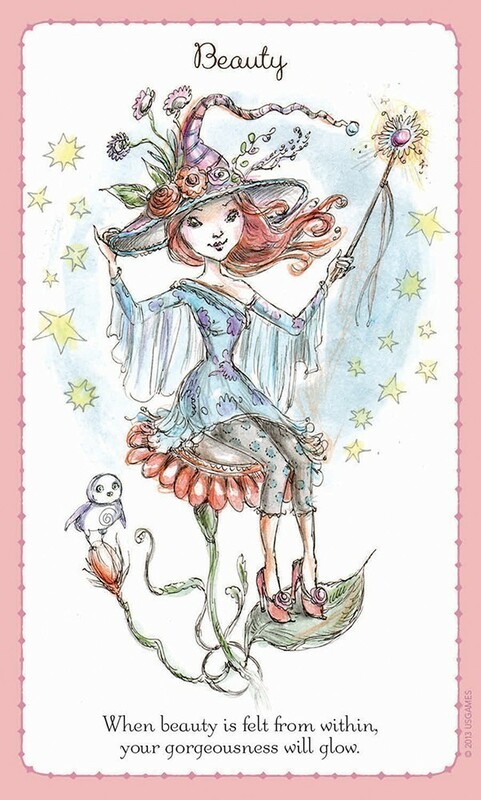 Whether used for incantation or inspiration, Witchlings will help you reach your positive goals. 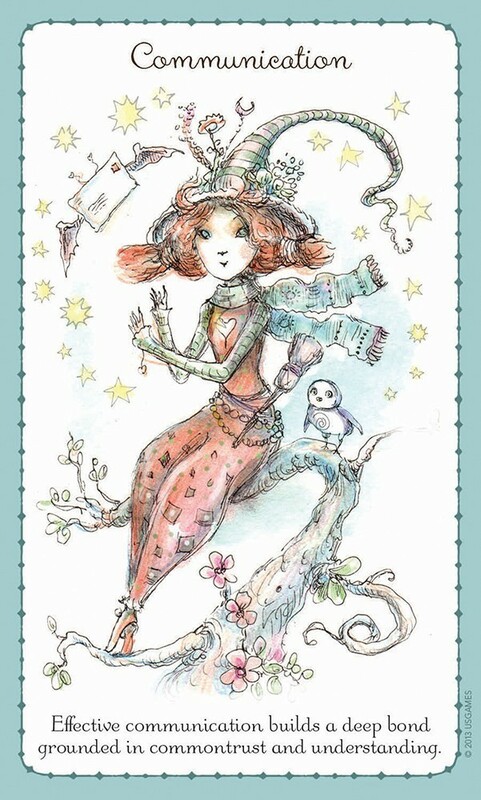 Paulina Cassidy, creator of the Joie de Vivre Tarot and Paulina Tarot decks, has created a new cast of forty lyrical and eccentric ladies to grace her newest deck of oracle cards. These feminine occultists dance, posture, levitate, and fly as they invite us into their magical world. If you don’t know Cassidy’s work, this deck is a perfect introduction. If you’re already a fan, you’ll be delighted with this addition to Paulina’s repertoire. The accompanying 200-page Witchlings Book of Spells adds insight and instruction to the charms of these spellbinding enchantresses. The spells are augmented with candle and color —magic, crystal energy, chanting, and detailed meditations to make all your dreams come true. Pick a card. Introduce yourself. Start making magic! 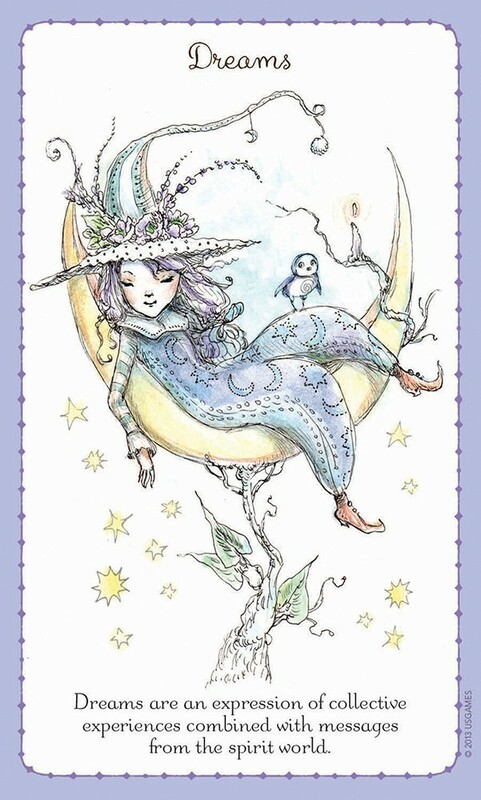 Adorable, sweet, uplifting, powerful and witchy! Once again, Paulina Cassidy and U.S. Games Systems, Inc., hit one out of the park! 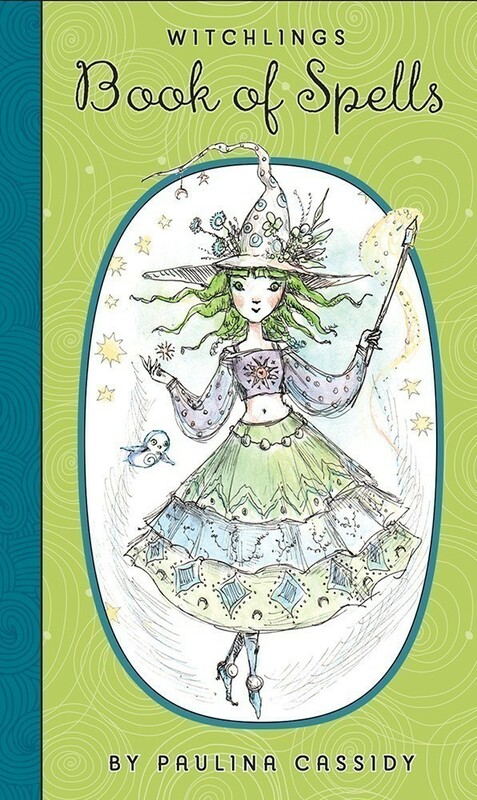 Witchlings is a deck and book set that is filled with easy spells and magick that anyone can use. It is well written, beautifully designed and well produced. Witchlingsis a 40-card deck with a 204-page black and white illustrated, paperback companion book called Witchlings – Book of Spells. The set is housed in a heavy duty, lift top cardboard box, which is sealed in plastic. The deck is also sealed in plastic. Each image is delightful in Ms. Cassidy’s unique styling. All of the images feature a starry background. Orion the owl, the Universal familiar, is present with each Witchling. He serves as a protector, mentor, assistant and friend. 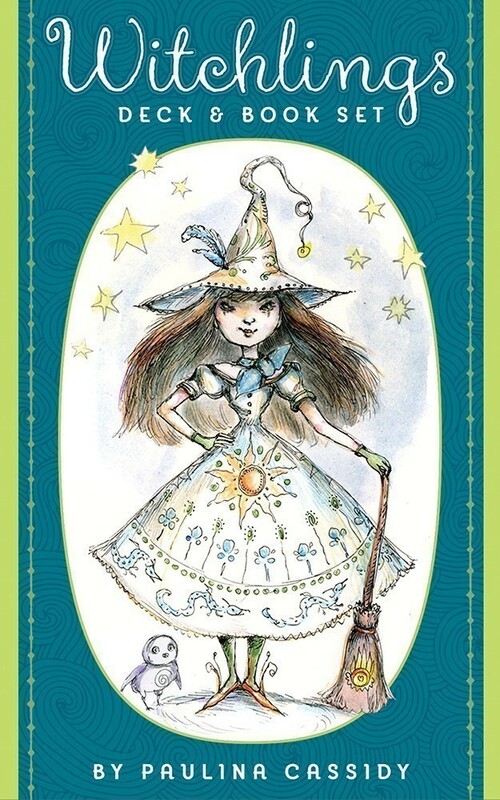 The Determination card features a light blue border with a charming Witchling, named Mimosa. She is wearing muted red and black, perched cross-legged, on her broom. The key phrase says “Determination is the power within to keep you from giving up on your dreams.” The Book of Spells has instructions for a sachet and a poppet. It also has a candle ritual and gives directions for infusing a clear quartz crystal with the intention of willpower, determination and achieving goals. The deck is designed to be used as a single card draw or up to 3 cards to use together. Ms. Cassidy suggests drawing a card and working with that particular Witchling as long as needed. The book provides a list of easy-to-find Spellcrafting Equipment, information about Candle Color Magick, Gemstone Magick, Herb and Spice Magick, and Essential Oil Magick. Witchlings can be used by anyone that is interested in learning about magick and wants to keep things simple and straightforward. This make a nice addition to everyone’s magick tool kit. I have been waiting very patiently for 2 years for these cards and they do not disappoint! Absolutely beautiful artistry love them, a delightful deck to use. The wait has been worth it thanks Paulina simply stunning!!!! !